Testing is important. This conference is about getting experts and practitioners together to talk, learn and practice the art of testing. We’re looking into advanced new methods into making our testing more effective, as well as enrich our understanding of fundamental methods to grow a stronger community. We’re tired of conferences that feel more like sales pitches than practitioners sharing the craft. Come. Learn. Do. Teach. Test. In case you did not know, we don't make our speakers pay. We reimburse travel and share our profits with them. We believe that allows for a more diverse selection and our programme attests to that. Different people learn in different ways. Conferences are great places to try many styles of learning, great places to connect to other professionals. At the European Testing Conference we have many styles for our sessions. In the beginning of the conference, we have session geared to connect audience with each other. Making the conference more welcoming and less scary place to be. Near the end of the conference we create flexible spaces so you’ll get the last piece of the puzzle ensuring you can take home actionable and relevant insight. 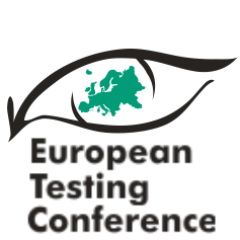 Sorry, applications for European Testing Conference 2019 are closed.